Hands-free, drive thru parking control to securely speed up entry and exit to any parking facility. GAO RFID Vehicle Tags are assigned to all vehicles. GAO RFID Readers are installed at entry and exit points within the parking facility. When vehicles approach, the Readers “read” the signals being broadcasted by the RFID Tags displayed on each vehicle. If your business offers parking areas to customers, then you will require a cost-effective and secure parking control solution for your facility. Whether it is for an office building, residential condominium, gated community, hotel, RV camp, stadium or university, an intelligent parking control system will provide efficiency, safety, and security for both your clients and their vehicles. How does Parking Control reduce operating costs and increase revenue? When you manage a busy parking lot that provides around the clock access with multiple entry and exit gates, staffing each gate with attendants is a costly expense. With a Parking Control system, the entire parking facility can be unmanned, providing a highly economical way to operate the parking facilities of your property. In addition, there is the ability to monitor and log parking duration and frequency to automatically bill parking charges, ensuring revenue is collected regularly. How Parking Control ensure safety and security? The safety and security of parked vehicles is a top priority. Using a Parking Control system, movement of vehicles can be identified and tracked which ensures the security of all vehicles. Access to and from the parking area can also be controlled based on predetermined times authorized by the system administrator, and activity at parking barriers can trigger surveillance cameras to record vehicle movement. This adds up to a safe and secure environment for all vehicles on premises. How does Parking Control improve customer service? Long queues to exit parking lots and cumbersome payment processing methods lead to frustrated customers. A Parking Control system offers the automation of in and out payments and reduces customer queues when exiting. By relieving congestion within parking areas, customers naturally become more satisfied. Radio Frequency Identification (RFID) Parking Control is the solution that provides the answers to all of these challenging questions. 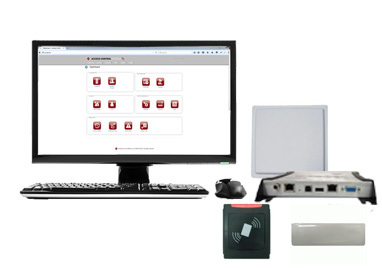 The GAO Short Range Event Management System is one of the Passive RFID versions available for use when planning your event. Using the 125 KHz and 13.56 MHz frequencies, the system utilizes both high and low radio frequencies. The GAO Short-Range Parking Control System is one of two Passive RFID versions available. The Short-Range System uses two distinct radio frequencies: low frequency and high frequency. The low frequency system uses the 125 KHz frequency, while high frequency system is based on 13.56 MHz. A Short-Range Parking Control System requires a near-touch reading distance of 2-6 cm. Short-range access is most effective for applications where an economical solution is required. Using an RFID badge, vehicle operators tap for access at close proximity. The result is a simple and efficient unmanned operation that provides secure access to parking facilities. The GAO Mid-Range Parking Control System uses Passive RFID technology, and is one of two passive versions available on our Parking Control System. The mid-range system uses the Ultra-High Frequency (UHF) band of 900 MHz and is able to read the RFID vehicle tags displayed on vehicle dashboards or windshields from up to 5 metres away. This means vehicle operators are given hands-free access while entering the parking area. And because this is a passive system, the RFID vehicle tags do not require batteries, making them extremely economical, durable, and long-lasting. The GAO Long-Range Parking Control System is the Active RFID version of our parking control solution. The system uses the 433 MHz and 2.45 Ghz bands which allows for the continuous transmission of vehicle information to RFID Receivers as they pass through the gates and barriers of parking facilities. Authorized vehicles are provided RFID vehicle hang tags or windshield tags. When they approach gated entry or exit points, access is granted without requiring vehicle operators to physically show their badge, and in most cases, they do not need to fully stop. The RFID readers are capable of reading the tags displayed on vehicles from up to 30 metres, thereby significantly decreasing congestion and long queues for entry or exit. In addition, all vehicle access data is logged and accessible via alerts and customizable reports. The GAO Parking Control System gives you online access to the system from anywhere with an Internet connection, without having to make costly investments in servers and other infrastructure. Our services-based Cloud system is hosted and maintained by us and you pay for applications only when you need them. GAO Parking Control Solutions for the Tourism and Recreation Industry provide an efficient way to control and log vehicle parking activity at popular tourist and recreation facilities to ensure safety and profitability. GAO Parking Control Solutions for the Healthcare Industry provide an efficient and secure way to control public and reserved parking at hospitals and other healthcare facilities. GAO Parking Control Solutions for the Building Management Industry provide a robust and dependable way to control parking access at office buildings or residential complexes. We are here for you. We can help tailor a Parking Control System around your client's needs including custom reports and software solutions combined with all the right hardware. Would you like to know more about RFID Parking Control Systems? 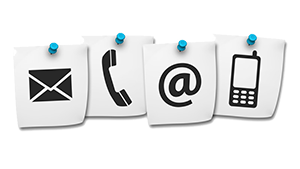 Please contact us and one of our experienced sales staff would be more than happy to answer all your questions!